For mint chocolate lovers like me! Sink your teeth into this moist chocolate cupcake filled with mint ganache and topped with mint cream cheese frosting and an Andes mint. 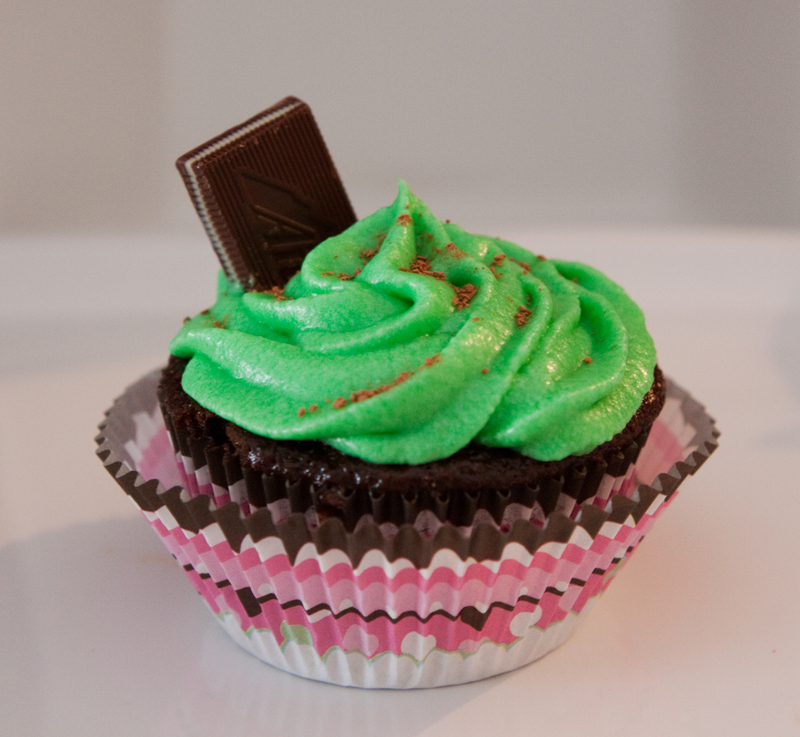 This entry was posted in Cupcakes and tagged Chocolate, Cream Cheese, Cupcake, Mint. Bookmark the permalink.